Derwent Reservoir is pictured with the 617 Squadron practising low-level flights needed for Operation Chastise or 'Dam Busters'. Occasional flypasts of the Battle of Britain Memorial Flight at the reservoir are still staged to commemorate the events during the war. In September 2014, a unique and never to be repeated flypast took place involving the two remaining airworthy Lancasters, one from the battle of Britain Memorial Flight, and one from Canada, flying three passes in formation. 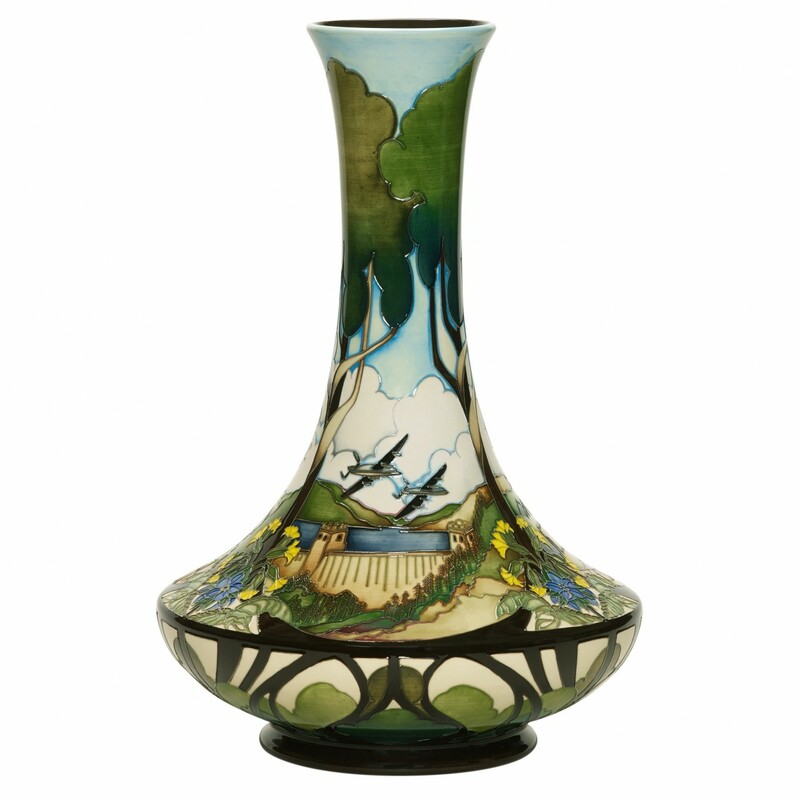 On this prestige vase, that tribute is preserved forever.